Field Grey are thrilled to announce the launch of another successful Readywear collaboration with property purveyors Savills. 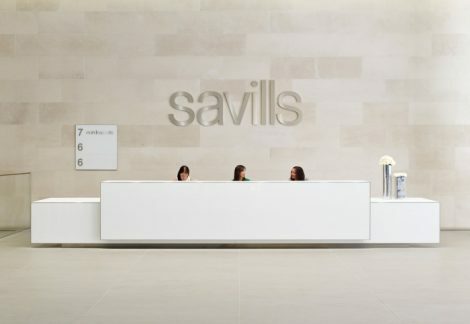 Savills’ headquarters on Margaret Street in London’s West End is a global property destination, offering bespoke services across all aspects of residential and business locations. The multi-storey office even boasts a café and restaurant, managed by Lexington Catering. 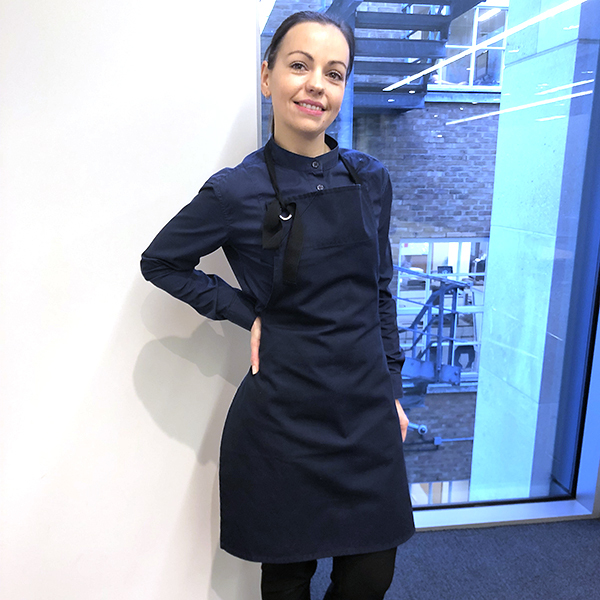 After hearing about our Readywear range – a collection of 36 key uniform items that can be tailored for businesses – we were commissioned to devise a suitable solution for the restaurant and café’s team of staff. 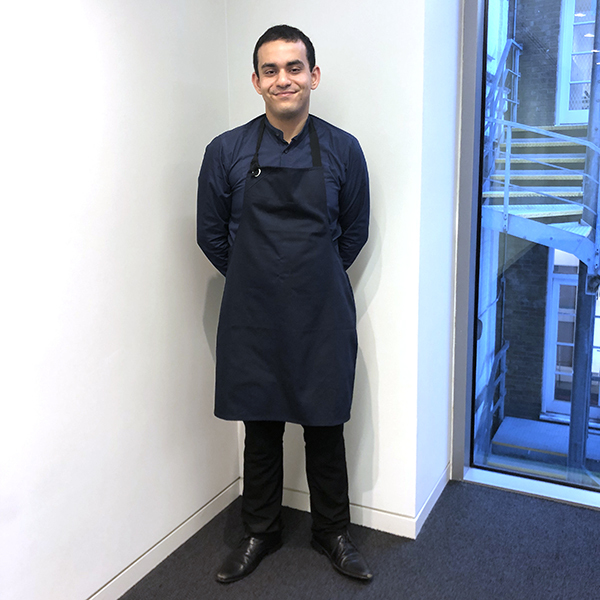 The key desire was for a simple, easy to wear solution, as a modern refresh to the current uniform stock, with the option of different combinations for different roles. After some consultation and consideration, Savills opted for a navy blue collection from our Readywear range. The team wear our tailored Plain Bib Shirt, which is available for both male and female staff. 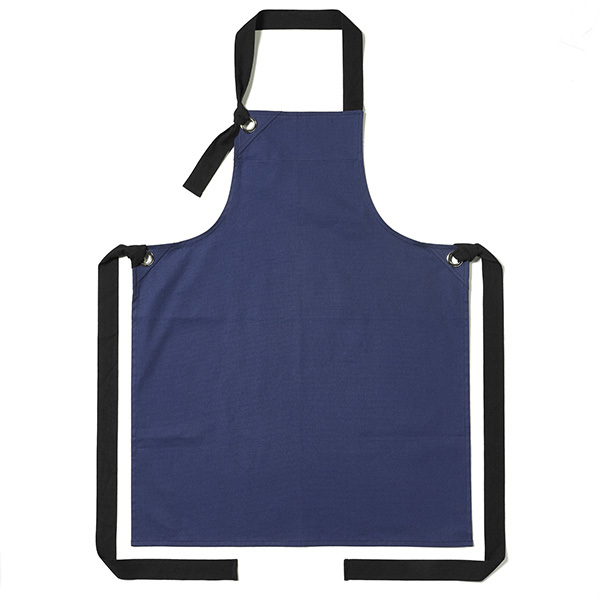 This will be combined with a choice of two aprons: the Bib Apron with Tied Eyelet or the Classic Waist Apron with Pockets, depending on the role. Each garment is made from polycotton, a breathable, tear-resistant fabric. Our Readywear range was designed with smaller businesses in mind who don’t require a full bespoke uniform solution. The collection features 36 key pieces and includes shirts, jackets, twelve types of apron and accessories. Businesses can choose from a variety of colours and can even opt for custom embroidery to further tailor the collection to their business. With a contemporary workwear aesthetic, the collection is chic, smart and wearable; the key items are available in a choice of fabrics depending on the wearer’s role. Readywear is suitable for a wide variety of businesses, including hospitality, catering, spas, hotels and the wider service industry. To chat about how Readywear can help your business, call us on 020 3948 3000 or email info@field-grey.com.